Keep your eyes peeled for seals, sun fish, dolphins, porpoises, sharks, whales and a variety of sea birds! 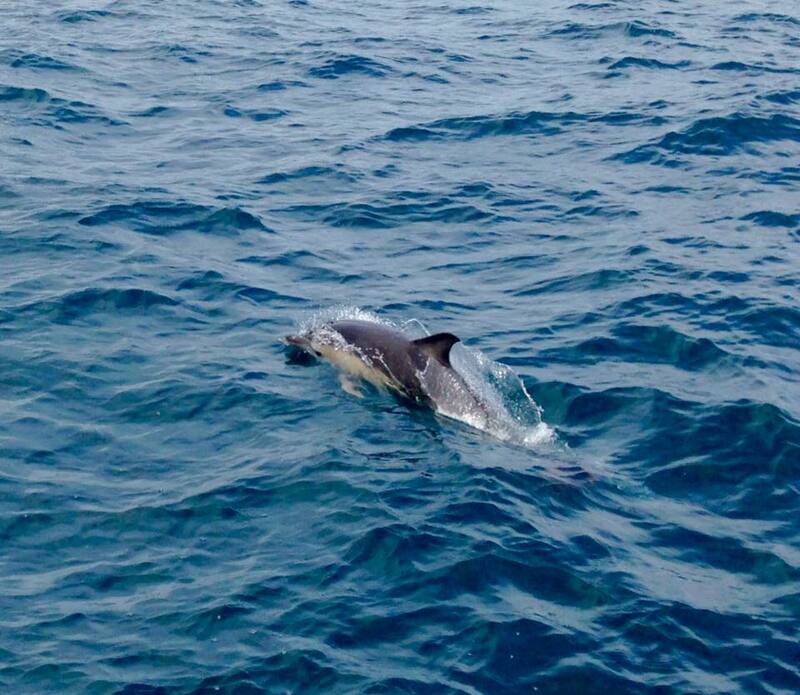 If you are visiting West Cornwall our Coast Cruises are not to be missed! We leave Penzance and cruise easterly along the striking Cornish coastline to the historic and breathtaking St Michael’s Mount. This fairytale castle is connected to the mainland by a causeway which is covered at high tide. Hear about the history and legends of the Mount and learn some unusual and interesting Cornish tales. We will take you down the coastline to Cudden Point where the common grey seal is often seen. En route experience the unseen beauty of the Mount from the seaward side, while you keep an eye out for the dolphins and porpoises very often seen in this location. Adrian is in radio contact with other boats at sea, and will be informed of any pods of dolphins and other notable wildlife in the area – so you won‘t miss them! Spot the Cormorants, Gannets and the Great Black Backed Gulls. Basking sharks are also found here during the warmer months. Relax and unwind at sea! However, if you or the children feel the need to exert some energy, your Skipper will have you pulling up lobster or crab pots on the way back! This is a truly memorable experience for everyone. Trips run daily at 3pm and take approx 2 hours.